Slap a few nurnies on it | Spaceship! Spaceship! Spaceship! “Slap a few nurnies on it, coat of paint, walk away.” was the mantra of the late Ron Thornton, modelmaker and VFX supervisor of Babylon 5. 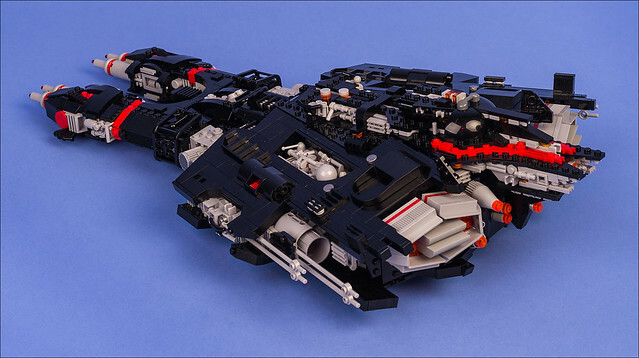 “Nurnies” are synonymous with “Greebles”, being the little detail bits that cover sci-fi spaceships. 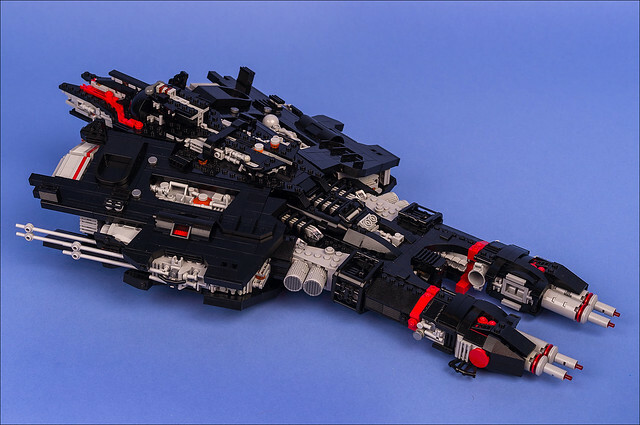 These were traditionally parts culled from plastic model kits, but in LEGO spaceship modelling must of course be other LEGO pieces, as expertly demonstrated by timofey_tkachev on his catchily-named Black Spaceship. I have a bit of a love-hate relationship with greebles. I LOVE greebles, and whenever I make a LEGO model I get all excited and itchy when I find a space where they could reside. But my belief remains that greebles don’t make the model, they only enhance it, and so I devote most my energies to the overall form and shaping. Then when time comes to finally do the greebles I’m usually so fed up of the project I bail on it and just slap on a few round tiles and it never looks quite as good as it could. This entry was tagged greebles, microscale, MOC. Bookmark the permalink. ← Curse your sudden but inevitable betrayal!